Kibber village, located in Spiti Valley, is considered by many as the highest motorable village in the world. Located at an altitude of more than 14,000 ft, the village is about 20 km from the nearest Kaza town. The village also has a wildlife sanctuary called Kibber Wildlife Sanctuary and has a modern Buddhist monastery known as Kibber Monastery . The monastery is unassuming, but the entire feel of the village and the experience of the stunning landscape is worth the visit. 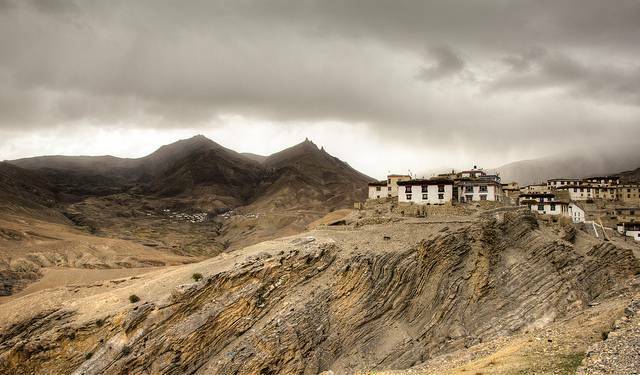 Spiti valley's largest monastery, Ki Monastery, is close to Kibber.